High Quality Content by WIKIPEDIA articles! 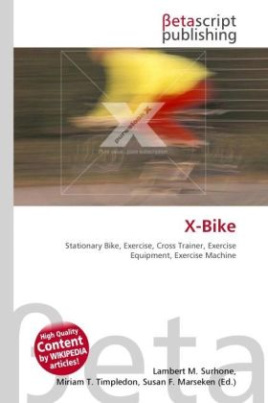 The X-Bike is a stationary bike used in exercising. The bike has lateral moving handle bars (X-Bars) that replicate the motion of riding a real bike. Similar to the cross trainer, the X-bike allows users to exercise both upper and lower body simultaneously. In the photo, the female is not using the bike properly as she is leaning her body. It is preferable to maintain a straight torso when moving the handlebars to improve core stability.